There are plenty of things you can use at home to make your own rocket, like sugar, matchsticks, or even trash. They may not be as impressive as a real rocket, but they can still be a lot of fun. In this video, How To Lou shows how he made a high-flying water rocket out of some basic materials like PVC and a soda bottle. As Lou points out, the bigger your soda bottle, the further it will go. 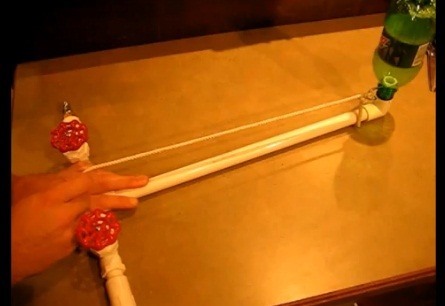 He used 1/2" PVC pipe, valves, and connectors, as well as some brass adapters. He added an air compressor to his, but if you don't have one, you can use a bicycle pump instead. To put the whole thing together, Lou used a nail, an O-ring, some PVC cement, and Teflon tape. Check out the video to see the step-by-step process, and you can find more of Lou's projects on his YouTube channel. Looking for something a little more high-tech? 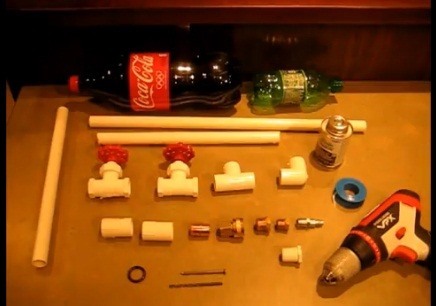 This see-though DIY rocket engine might be more your speed.